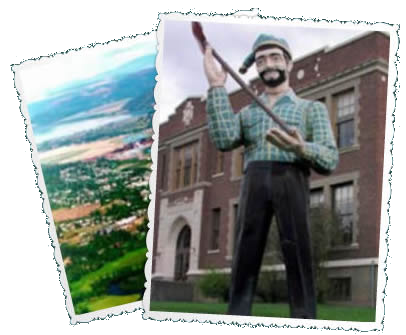 We are located 2 miles south of the scenic town of St. Maries, Idaho. Whether you want your vacation to be relaxing and restful or filled with fun and adventure, we are here to make your dreams come true.Our rooms are also perfect for guest accommodations for weddings, family reunions, class reunions, sporting events, business trips, etc. We would love to have you as our next guests. You can choose from one of our four gorgeous guest rooms, wake up to a wonderful gourmet breakfast, and have the opportunity to enjoy the wide variety of activities available in our area. Please take some time to learn more about our Bed and Breakfast. After you have checked out our rooms, you can check our room availability. If you have any questions, please don't hesitate to contact us! 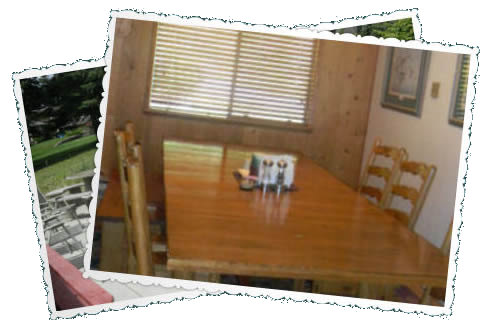 Ponderosa Lane Bed and Breakfast is located 2 miles south of St. Maries, Idaho off Highway 3. The hosts and owners are Ron and Kathy Dickerson. They have been serving guests since 2006. Ron and Kathy strive to make your visit enjoyable and your stay comfortable. Ron is an outdoor enthusiast who can help you find access to fun and adventure while you’re here. Kathy is a gourmet cook who loves to try new recipes and accommodate your particular food preferences. Together, they will provide you with the best experience possible while visiting St. Maries, Idaho. Copyright (c) 2016 Ponderosa Lane B&B.